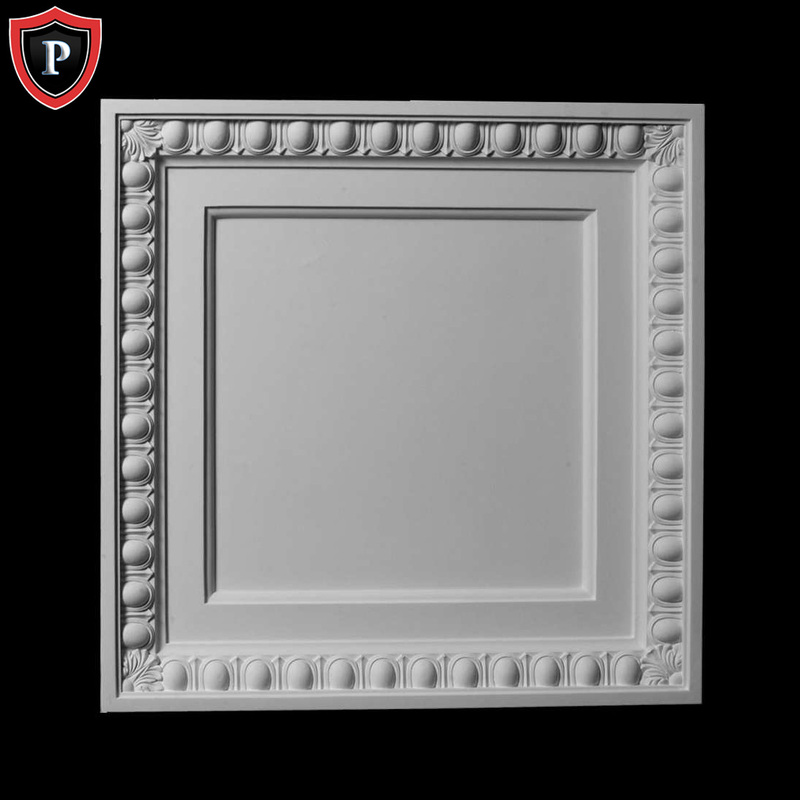 Our exquisite polyurethane ceiling tiles represent true architectural taste & style. Enhance the beauty of any ceiling with our decorative ceiling tile designs. Your ceiling will become an instant focal point, while also giving your room or hallway more breadth. Made from a lightweight, rot-resistant, durable polyurethane material. It has the same density as white pine wood, without the maintenance or upkeep concerns. Each polyurethane ceiling tile design comes primed white and ready to paint. We'll ship directly to your job site!